price: € 350,000, VAT excl. price: € 395,000, VAT excl. price: € 415,000, VAT excl. 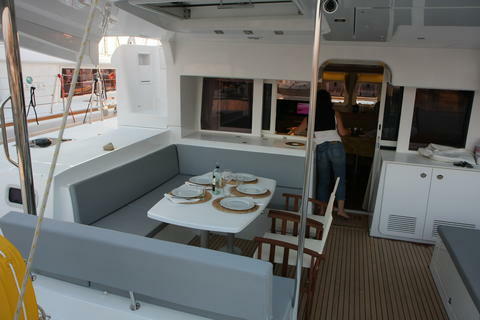 The Lagoon 450 is one of the most luxury catamarans in the Charter Market. Along with her spacious accommodation status, she offers larger sailing and indoor area compared to the smaller sized catamarans. Charter rentals also available for this season. price: € 345,000, VAT excl. price: € 460,000, VAT excl. Would you like to sell your used Lagoon 450? Sign up here and add your Lagoon 450 in our data base with used boats for sale.